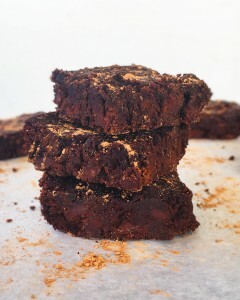 Double Dark Chocolate Brownies (Vegan + Gluten Free)! You know that person, who when faced with a pan of fresh baked brownies can’t stop at just one? Do you also know that person who, when eating the brownie, dives in and eats directly from the middle of the pan, because its the fudgiest (and obviously the best)? A great brownie needs to be rich, very chocolatey, and so good that you have to go back for seconds (or fifths, honestly). In the battle between cakey vs. fudgey brownies, these brownies win on both fronts. They are moist and decadent, with just the right amount of crumble. 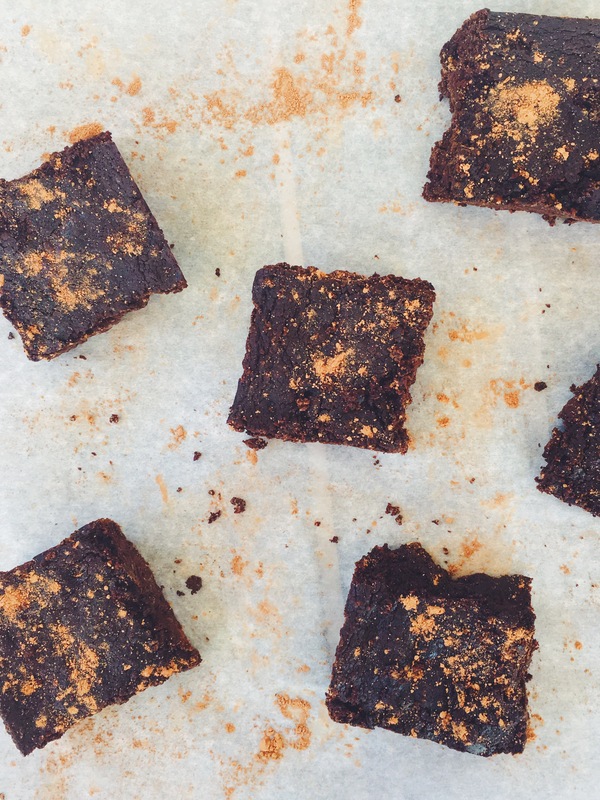 Regardless of your preference, these are the brownies for you. And if you like brownies that also magically happen to be ridiculously nutritious and free of dairy, eggs and gluten, then these brownies are DEFINITELY the ones for you. Vegan, gluten-free or not, these brownies are sure to please any crowd. 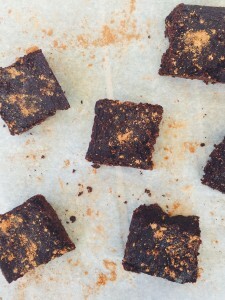 Entirely naturally sweetened, these brownies make a secretly sneakily healthy, vegan, and gluten-free treat. So dig in, and don’t worry if you can’t stop at just one. Combine flours, cacao powder, and coconut sugar in a bowl. Slowly mix in all other ingredients and pour the batter into an 9×9 inch brownie pan. Bake the brownies for 22-25 minutes, or until a toothpick comes out clean. Contact Maggie Harriman at mpharrim ‘at’ stanford.edu.